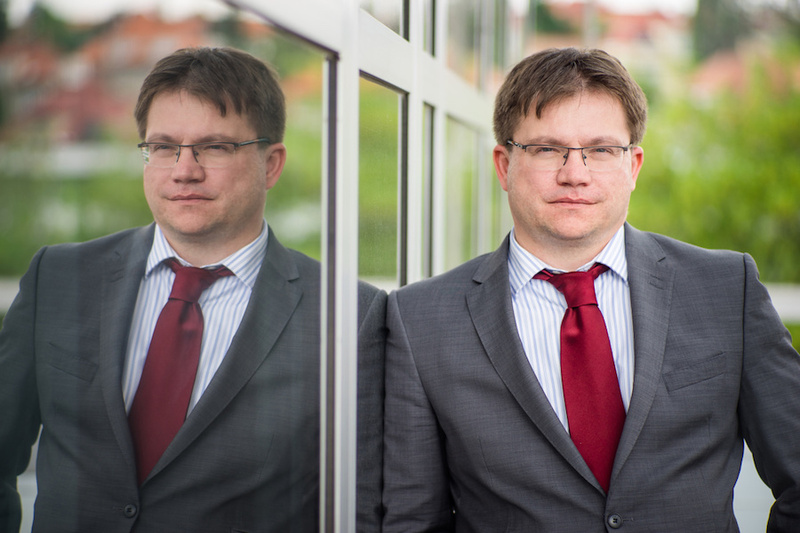 Petr Očko doesn’t just believe that the Czech Republic could become an innovation leader, but he has been actively striving to achieve this. Over his career, he has managed to build up a successful technology start-up, has worked for a number of ministries and also has experience within large corporations. 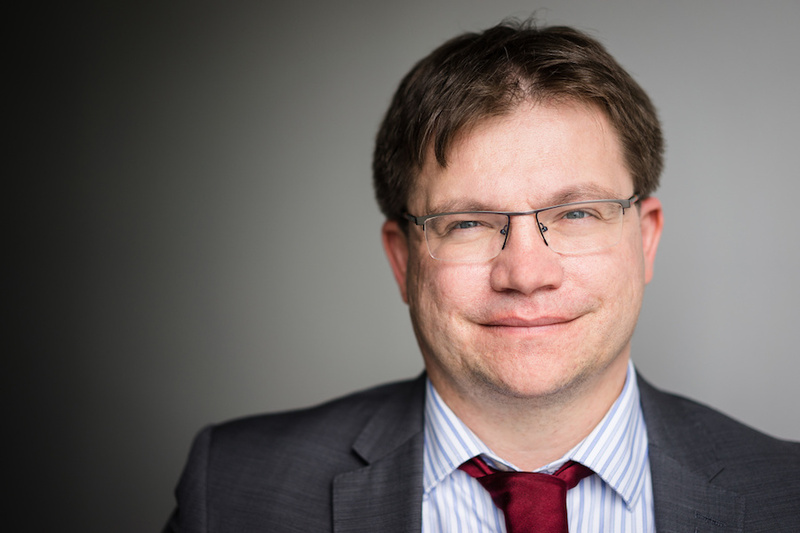 As for state institutions, he has led the CzechInvest agency, was Chairman of the Technology Agency, and since July 2018 has been Deputy Minister of Industry and Trade responsible for the new Digitisation and Innovation Department. Few understand the issue of applied research or co- operation between business and science as well as he does. We are glad he has granted Czech and Slovak Leaders readers an exclusive interview on the entirely new Czech Republic Innovation Strategy 2019-2030. In early February, the government launched the Czech Republic Innovation Strategy 2019-2030. The Czech Republic, previously promoted as the Land of Stories, is to become the “Land for the Future”. You yourself were involved in the creation of this strategy. What fundamental changes does this strategy bring along? I’m very pleased this strategy has been developed, because I am absolutely convinced that we are a country of great potential, and it is primarily up to us whether we exploit this fact or not. We are building on a long tradition of research, education and industry. And currently we also have large investments here in research centres, a lot of excellent research results, companies that are growing strongly and asserting themselves in foreign markets; we have much to offer the world. Yet few in the world link the Czech Republic and innovation together. Finland, today considered an innovation leader, was not in an easy situation 30 years ago, and had much less of a tradition of advanced industry and research. A large proportion of Finland’s success is due to its commitment to change and a shared vision of the future. We lack both of these, and that’s why this strategy is important, because it emphasises the vision of the Czech Republic as an innovation leader. Of course, I’m not saying everything is perfect here – our business sector is highly dependent on foreign owners, many of whom undertake their science and research activities outside Czech territory. The sector comprising innovative small and medium-sized Czech companies is growing, but only some of these companies have penetrated the higher levels of global value chains. And co-operation between the academic and business spheres, or knowledge and technology transfer, has improved significantly, but is still below the optimum level. This strategy addresses this area, and measures are proposed to deal with it, many of which are already being undertaken – such as making tax deductions for science and research more effective, and a key amendment to the act on investment subsidies, which will now be focused on investments with added value, and on bringing research organisations and companies together. You held the position of Chairman of the Technology Agency (TACR) for over two years. During your chairmanship, TACR significantly expanded the number of declared tenders and launched new programmes supporting applied research. Do you regret that some people still describe the Czech Republic as an assembly plant? The projects supported by the Technology Agency have helped me to get a much better picture of what applied research is being done in the Czech Republic, and that it is often truly world-class. There are quite a number of less well-known companies in the Czech Republic that are leaders in certain global markets – such as in medical devices, electron microscopy and in the increasingly important field of cyber- security, as well as in other areas. Through the INKA project – mapping innovation capacities – implemented by TACR, we have thoroughly mapped the Czech innovations environment. Thus we know that there are a large number of companies in the Czech Republic of various sizes that have great innovation potential. On the other hand, there are a large number of companies here that are dependent on foreign owners and buyers whose innovative activities are limited to partial technological improvements. But according to the INKA investigation, even the subsidiaries of foreign companies are steadily improving their position within the range of the parent company’s activities. Many of these have significant science and research capacities. Some have become the leading science and research centre for their entire group in their product or technology field. It is thus our objective to support companies that have the potential of developing their innovation activities here in the Czech Republic, and support them to move higher up the global value chains. The INKA project investigation also showed that the management of many Czech companies have limited or conservative aspirations in terms of growth in company size within a 5- to 10-year horizon. In co-operating with TACR and “our” agencies, CzechInvest and CzechTrade, we are also helping companies to develop their innovative activities and succeed on the global markets. You’ve gained professional experience both in your start-up and in the civil service, and you’ve worked for large corporations and in cutting-edge science. In the Czech Republic, these sectors are less connected than elsewhere, with almost insurmountable chasms in between. What can be done so that people in the different sectors understand each other more and begin to co-operate? There are many positive exceptions, but it is true that I’m sometimes surprised by how much energy is sometimes spent deepening those chasms between different sectors. Personally, over practically the whole of my professional career, I have tried to expend my energy on building bridges rather than deepening chasms. I considered this one of my primary missions at the Technology Agency, and also here at the Ministry of Industry and Trade. I see the TACR’s role in helping to bring together the civil service, the academic sphere and the business sector in the field of research. I think one of our successes was when we managed to link applied research support to support from CzechInvest, which is now focusing on providing support for developing investments with added value, concentrating more than before on small and medium-sized companies and start-ups. And also the support of CzechTrade, who have helped ensure that the resulting products with added value can succeed in foreign markets. We have also created the platform called Tým Česko in co-operation with the state financial institutions EGAP, ČEB and ČMZRB, which companies can now use to acquire more effective and connected support for their activities, from research, innovations and investment development to success in global markets. Every CzechInvest branch, for example, will help with all this. What prejudices or misunderstandings have you most commonly encountered that you can now disprove? Conversely, what do people in different sectors not know about each other that they should? Personally, I believe that the situation is getting a lot better, and communication and co- operation between academia and companies is now much better than it was a few years ago. However, there is sometimes still diffidence in co-operation for various reasons. It is true that both sides need to understand each other’s peculiarities. Research organisations usually have a number of research strategies, and one cannot expect them to investigate a specific application for a particular firm within a month or two, as sometimes is expected of them. On the other hand, it sometimes happens that even a quality project of a research organisation, with an exciting outcome, ends up gathering dust only because they were unable to establish co-operation with relevant companies. Co- operation is most beneficial when both parties have been working together for many years. They trust each other and know what the other party’s expectations and needs are. Technology transfer centres at universities or regional innovation centres can assist in establishing new co-operation links. Personally, I draw great inspiration from the Israeli model, which goes even further in this regard, with the vast majority of universities having their own commercialisation institutions there. These de facto subsidiary companies take care of intellectual property management, finding investors and commercialisation support, and are also engaged in setting up innovative spinoff companies in which, for example, they may hold shares. These usually operate more flexibly than the universities themselves, leading to more flexible work with investors. And this isn’t found only within technical universities, but also in social science fields. And basic research as well – an example here is the highly respected Weizmann Institute of Science and its subsidiary commercialisation institution, Yeda R&D, Co. Ltd. There are also scientific institutes in the Czech Republic that are taking the same path. One example is the Institute of Organic Chemistry and Biochemistry of the CAS and its company IOCBTech, and now also the i&i biotechnology hub. And last year, Charles University was the first university to choose to set up a wholly owned subsidiary entitled Charles University Innovations Prague (CUIP), whose mission is to be a bridge between scientific teams and commercial entities. I think this is the right way to go, and a direction we will be happy to support further. Your portfolio also includes Industry 4.0, something we can find inspiration for in Germany. How are things progressing in fields like vocational education, digitisation (not just of the civil service) and focusing on creating posts with higher added value? Israel is currently looking at this area. Have we already got any examples of best practice? We are the most industrial country in the EU, which is why it is good that we have managed to adopt the trend of digital transformation of industry in time, and our national Industry 4.0 initiative has been operating for a number of years now. This isn’t just on paper either – some specific activities that have been implemented include, for example, support for applied research in the Industry 4.0 field at TACR, and the Technology 4.0 programme focused on small and medium-sized businesses at the MIT. The MIT has now set up a new programme supporting applied research called TRENDS, in which Industry 4.0 is one of its main priorities, but it will also be focused on other new key trends, including for example artificial intelligence. And a new feature will be a greater focus on small companies that want to co-operate with research organisations for the first time. We have certainly implemented good practice in beginning to deal not just with the impacts of the digital transformation on industry, but also more generally on the economy, labour market, education system, legislation, etc., fairly early. First of all, the Society 4.0 initiative was set up, and last year we produced the truly comprehensive document, “Digital Czechia”, with the government delegate for digitisation. This includes 800 projects (many of which are already up and running) in the fields of civil service digitisation, economics, society, research support, cyber-security and many others. Areas relating to digitisation of the economy and society are co-ordinated by the MIT, naturally with broad co-operation from many partners in the business, academic and government sectors. Our new national strategy for artificial intelligence will soon be building on this concept, and this will include a comprehensive set of measures directing support so that the Czech Republic can play an important role in the new phase of the digital transformation of the economy and society, which will be heavily influenced by the arrival of artificial intelligence in many different fields. In regard to innovation, there are essentially three proven models: the American, Scandinavian and Israeli models. Close relations with Israel and the appointment of the leading Israeli scientist Orna Berry to the government’s Council for Science, Research and Innovation advisory body, make it clear which country the Czech Republic is primarily seeking inspiration from. Following the successful mission last year by President Zeman and many other cabinet members including Minister Nováková to Israel, what is being planned within the framework of closer Czech-Israeli co-operation? Although not everything is automatically transferable, Israel is certainly an inspiration for us in many regards. Israel’s innovation ecosystem is truly unique. The start-up economic miracle which began in the 1990s and continues to this day is still of great note. This is why a number of measures in the CR 2030 Innovation Strategy within the start-up support field in particular are inspired by Israel. This includes a system of support for business incubators connected to a unique state-supported investment model, which is a great inspiration to us. In discussions with colleagues from Israel, we almost always agree that the greatest difference between the Czech and Israeli environment is in our mindsets. While for Israelis going into new ventures, dynamism, self-presentation, vigour and a willingness to continue even after failure is common, in the Czech Republic we tend to prefer more settled occupations, with setting up one’s own company not a common career strategy. We only undertake moderate risks, and initial failure is often considered a stigma by others. Examples of good practice from other countries can certainly help to change this situation, and that’s why we want, for example, to continue co-operating on technology missions to Israel and organising Czech-Israeli innovation events here in the Czech Republic, as well as many more activities. Talking of innovations and change, how are you personally getting on in a world where change is the only constant? The dynamic of change really is high, but I must say that for me personally, it is quite an exciting time. I’ve always been a fan and advocate of new technologies, so I’m glad to be so close to these developments now. On the other hand, I feel great responsibility for ensuring we are well-prepared for the changes that are coming and that will undoubtedly have an impact not just on our economy, but also on the whole of society. My motto is: Those with small goals remain small. Let’s be self-reflective, but let’s also be ambitious and not give up after our first failure!